This case study site is now 2 years old, still a baby. I was a little concerned about the down trend after the holiday season, but the site is doing ok. 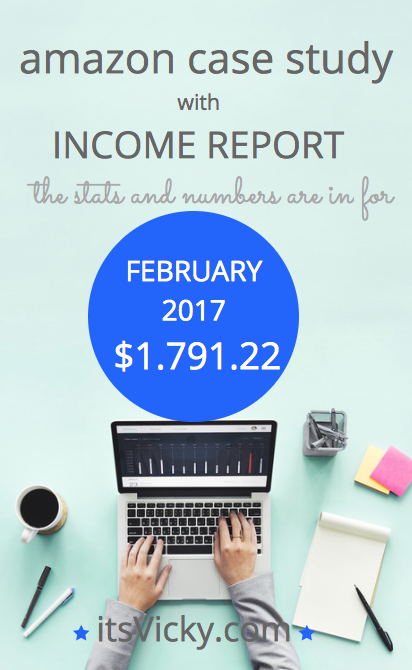 It didn’t quite reach the income that I wanted for February, but compared to last year we did increase quite a lot. This is sure a journey, ups and downs, excitements and disappointments. All though the site didn’t earn quite as well, something else really cool related to this case study site happened. I reached out to one of the companies that I’ve been promoting via Amazon. I asked for some images to put on my site since Amazon are really strict with what’s allowed and what’s not. They got back with me and provided me with images and they also asked if I wanted to try their products. I said, sure, I would love to. They send me 3 big items plus a pack of small ones, to a value of over $2K. Yes, a bunch of products for me to try out. This is of course not only going to benefit me. It will help me provide great information to my readers and of course, give this company some good exposure. They also provided me with a giveaway price… so I will be doing a giveaway competition. Exciting, something I have not done yet. I will for sure let you know how things go. I also had another company contact me, they wanted to do a guest blog or add links to already submitted content. After a few e-mails back and forth I decided to decline their offer. It was just not going to be worth my time. It always takes a lot more time than what you think, the amount just didn’t make it worth it. It’s ok to decline offers, don’t be afraid to value YOUR time. It’s your site, you put a price tag on it and don’t sell yourself too cheap. Ok, just wanted to share that success with you. Let’s get back to the case study. Some have asked WHY I do them, so let’s look at that. Today, I want to continue to share the journey, the ups and downs the celebrations and disappointments of being an online marketer. Many happily share the ups but go quiet when the down hits, I want to share it all. Yes, even the income numbers for this month (even though they were a little disappointing). I get a lot of great feedback from you readers so I want to continue to provide value to you! If you have your own site, you know it’s not just a curve pointing up, the key is to make the downs high and very comfortable when it comes to income. That’s something I’m still working on with this site. If you don’t have a site set up yet, you can go through my video course here to get it done. Cause even if there’s ups and down, being in charge of your own time, working for yourself is the best thing ever at least it has been for me and my family. It’s a health related site. It’s monetized with Amazon only. It’s based on mainly outsourced content. This site is getting the majority of traffic from organic listings in Google, Yahoo and Bing. There’s a drop in traffic this month compared to January. If we look at the average daily user count, January had 550 and February 498, so it is a significant drop. If we look at the numbers compared to February 2016, we have increased over 10 K monthly in a year. We had 3.013 users February last year. So that’s good, but I need to figure out how to stop the drop in traffic. I know some has to do with the holiday season that we just had. There will naturally be a drop after that. It might also be due to one of the major niches that are winter related. I’m a big believer in well-researched content that truly helps people. Most content on this site is outsourced, but I make sure the people writing the general content for me have some kind of medical background since it’s a health related site. My main writer, she is amazing, she’s a nurse and a fabulous writer I’m very grateful I found her. If you outsource and find a great writer, hold on to them! These kinds of pages work and can bring in a lot of traffic to your site. Most of these link to in-depth reviews and from there I send them to Amazon. I’ve been thinking about how to stop the decrease in traffic since the holiday season. I know it only makes sense to have an increase during that period of time but I still like when the curve points up in the right direction, right. Since content and organic listings are such a big part of this site, it only makes sense to increase in this area. Adding an additional blog post weekly – I will go from 3 weekly posts to 4. Right now I submit one product review and two general articles. The fourth article will be different every week. It can be event based or holiday based. It can be a push for a product group. It can be a general health article… whatever I feel the site needs that week. Some will be outsourced and some will be written by me. The site is starting to get more and more traction and others are starting to notice it. How do I know? Others link back and use the site as a reference. 1785 links back to my site, a lot of them came from Pinterest that was another surprise since I’m not very active on there. It gave me a push to more actively get in front of other bloggers and sites for better exposure. So going forward, I will be looking into both free and paid marketing opportunities on other sites, I will keep you posted. Giveaway contest – all though I’m not really sure how the giveaway contest will plan out just yet, this will be another great way to get visitors to the site and increase exposure. Work more closely with brands – I’m definitely open to working more with brands. Starting out my main goal was to monetize with Amazon, which I have been, but I’m not opposed to working directly with the brands. I might consider taking on a few independent affiliate programs. Some offer 20% commission and with the new commission structure that Amazon is taking on, I’m not 100% sure how that will plan out for my site. For the month of February, I earned 7.5% on most items. There’s, of course, pros and cons with this… If I stay with Amazon I get paid a commission on everything purchased via Amazon. We know this can really benefit especially around the holiday season. This is absolutely something to consider going forward. I use SEMRush to keep track of the ranking results and although we saw a little drop in traffic, there is still an increase in rankings. Yay!! When the rankings are pretty steady it makes me feel a little better about the traffic drop. If we were losing here as well then I would be very concerned. We also need to keep an eye on what Google is up to and in February the giant search engine might have had a Phantom update… nothing they will confirm, though. There was also a Google update targeting PBNs and black hat methods reported. Personally, I never believed in these methods and I believe Google will catch on. I can’t see that these updates affected my site in any way. Now to the income and money part. Something I must say I’m always very excited about. That is a drop of more than 200 sales, not good. I can see how this is related to the traffic drop, though. February is just not a big shopping month. 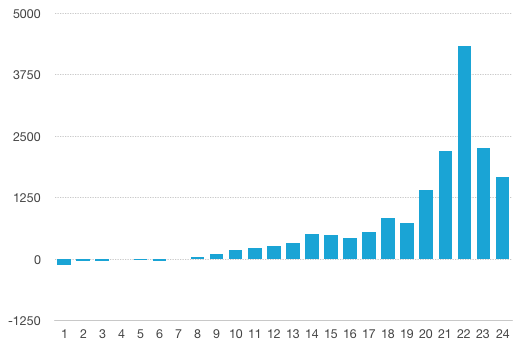 To see the connection between traffic and earnings, I looked at the earned $ per thousand visitors by doing that we can kind of compare apple to apple. This only confirms that December is a great month to be in business with Amazon. I have to go back to October of last year to “beat” February’s numbers, October had $123.39 / 1000 visitors. Even though I don’t see the same BIG jump I still made $1418 MORE this February than last, I’ll take it. Entering Year 3 of this site I have high expectations and I’m very excited to see where it will take us. Looking at the History, What Will It Tell Us About the Future? Last month I shared some exciting numbers and expectations for this site, with an estimated earning of $100K IF it follows the same progress as last year. 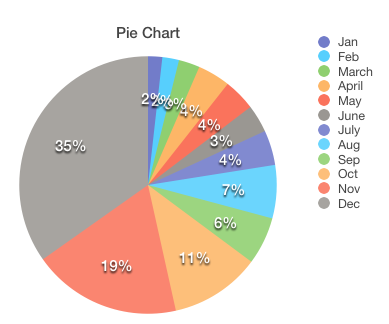 Here’s 2016 pie chart describing monthly % income of the site. Two months in, how are we doing? The total amount of $3942.45 for January and February, leave us playing catch up with $57.55, which is totally doable. Now it’s your turn, please share how your site did in February. Did you increase earnings? Did you drop in traffic? Please share how things are going for you! To a great March 2017! I use Upwork, but I’m really picky 🙂 when I find a good writer I try to hold on to them. From my calculation I took a hit of 32% with the new commission table. January and February was over my expectations and I’m on the plus side comparing the forecast (130k this year). I lowered my forecast to 90k because of this change. Looks like you are doing well still, that’s awesome. Hi Vicky, thanks for sharing the information, always interesting. Have a great weekend, Wayne. I Done a little number crunching for you! figures are not exact and more of a calculated guestimate. Amazons new commission structure would have you at $1074 assuming a repeat of this months figures for March. That figure was based on your average 7.5% commission and assuming you would be pegged and stuck on the new 4.5% permanently (obviously, depends on what products are sold and from what product category). For a more accurate figure check out your gross sales in $ and divide that by what your commission structure is (health/supplements I assume like me tag you at 4.5%). Quite a difference in income for high volume sellers like yourself but it really should n’t deter you (isn’t this an amazon case study site? the very reason for your creation of the site to see how amazon sites perform). Amazon is converts way better than independent merchants due to trust factor, being an established brand and efficiency and speed of delivery, order tracking via fed ex/DHL and ability to deal with refunds/returns rather quickly and efficiently. 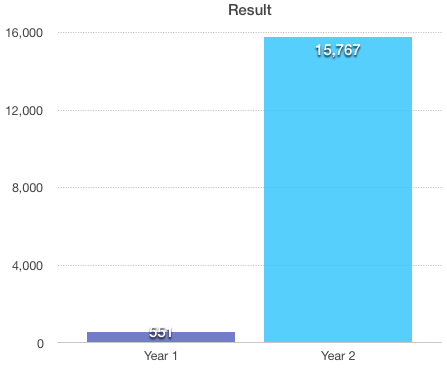 $15k for year 2, sweet! 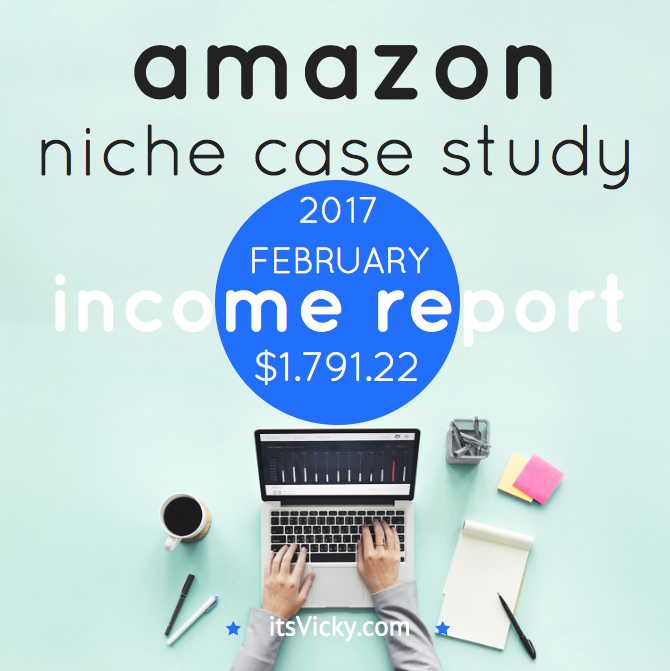 average of $1250 monthly throughout the year – passively! Well done on that! Let’s see how that progresses in year 3? I have a feeling though that a lot of companies that can choose between two categories will go with the higher commission one to attract affiliates… I’ve seen it with a few products already and that would of course be great! This is a case study and this was kind of the whole point, to show the ups AND the downs… how to deal with it and move forward… It does stink a little when you come from the high of the holiday season, your site is dropping and then amazon make a change that will impact earnings in probably a negative way. BUT we have to ask ourselves what can we learn from this? This is absolutely not the end of the world and I’m still very excited for the future. I’m positive this site will bounce back and have it’s best month yet during year 3, can’t wait to see what this site can deliver. How are things going for you and your site Derek? How much total content do you have on the site? It seems that posting a ton of stuff, so it must be at least hundred thousand words if not more. Are you taking the quantity over length of content approach are you still creating 3 to 4 posts per week that are 1000 to 2000 words long? If so, that is the lot of content in one week! I’ve never actually thought about reaching out to other companies and asking them if I can get a free product for review, which is weird because when you have an established site like ours it makes sense that other companies would want to promote their products on it. Anyway, congratulations on a great month! Not sure of the word count, but all my posts for the case study site are between 500 – 4000 words. The general informational posts are 500 – 700+ words. The in-depth reviews 1000+ words and the top 5 / top 10 posts 2000 – 4000 words. The reason why I can submit that much content is because I outsource pretty much all of it.